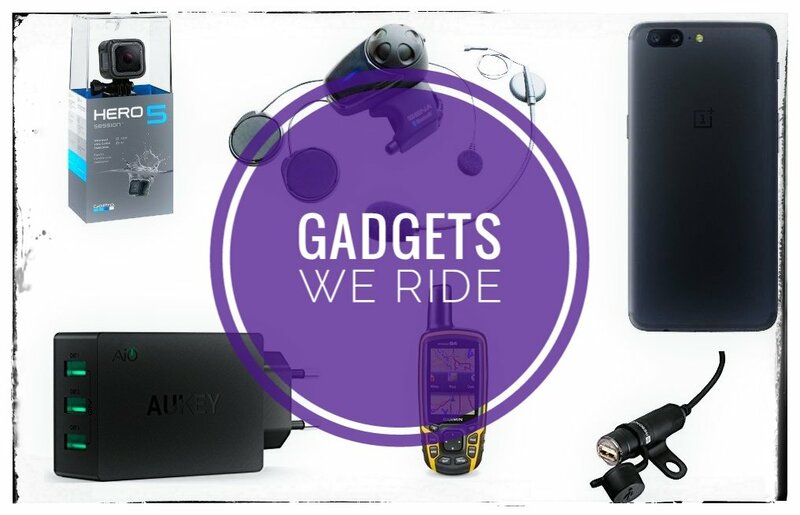 On our rides, the smartphone goes through rough usage, exposed to dust, water/rains/splashes, prone to falling slightly more than the normal everyday conditions. Hence a phone which is able to withstand all these conditions should be given preference while making a purchase. Not that it should not perform on these aspects in our everyday usage, ofcourse it should. But when we purchase a phone we mostly think of only the general usage, camera megapixels, RAM/ROM and dust/water protection is hardly a criteria considered. Except for when you are really thinking of making your phone best compatible with your rides and trips as well. Some of the phones mentioned above might be outdated in some aspects. You have to choose your trade-off between latest specs and protection against elements. Or you may buy it as your second phone for your rides only. There are some other phones in market today like Moto Z2 play, Moto G5 plus which are water repellent and will protect your phone against light rains and splashes. Please note that the IP X7 rating for Moto G3 above means there is no protection from dust, denoted by X. I'm using this phone for last 2 years and completely satisfied with it and its still going strong. These phones are water proof as per their ratings but I do not advise them to be tested in harsh conditions deliberately just for the sake of it. Just be at peace with these phones because you know they will not be damaged when it rains. Also they are waterproof under a particular pressure so don't go swimming or scuba diving with these phones in your pocket, except for CAT S60 which is a beast. If you think you don't want to purchase another phone and want to use your current phone itself, then there are many waterproof mounts available which can be mounted on the handlebar in case you are using the phone for navigation. For the photographers, the camera quality and features indeed can't be ignored. On rides, we need a camera with fast auto focus capability, HDR feature for better aesthetics, a good f-number for better clicks in low light, and nowadays smartphone cameras come with fully manual functions too so you can control your ISO and shutter speed just like DSLR, although the pictures may not be 100% like a DSLR, but can greatly eliminate carrying a separate big camera for night photogrpahy on our trips. On Motorola phones, the quick gestures help to open the camera quickly without unlocking the phone which is really handy. Needless to say battery capacity is indeed an important criteria for purchasing the phone for it to survive at least for a full day. Not just our rides, we use navigation on our smartphones almost everyday. Presence of a compass sensor can affect the quality of navigation which comes out of your phone. If there is no compass sensor, the maps will not re-orient itself to the direction you are walking or riding to if the phone is moved in different direction in hand. Its just like the compass needle not pointing to north direction even when the base is rotated and you have to manually identify the north direction. So make sure your phone has a compass sensor in it. Google Maps have been the best option for navigation for all of us. Try to add pictures to the places you visit through Google's native functions. And always keep geo-tags for pictures on your camera ON. 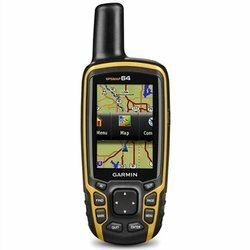 GPS devices like Garmin are like a pro when it comes to navigation device. They are superior when it comes to connectivity because they are obviously connected to the satellites and not dependent on your cellular network. You can also record your route and save and share it later for others to use. Tip: Always ask for Wi-Fi at hotels/restaurants for those on the go uploads. And how about some apps which RiderZone has suggested for bikers. Check it out here. Apart from this I suggest to have one weather app on your phone too. Bonus: For people who still want to take a DSLR and do a bit of photography like clicking stars or timelapse, a tripod is must but a regular one will be much difficult to carry. There are many portable/mini tripod available but important thing is that apart from being mount friendly with your action cam, it should be able to take the weight of the heavy DSLR too. 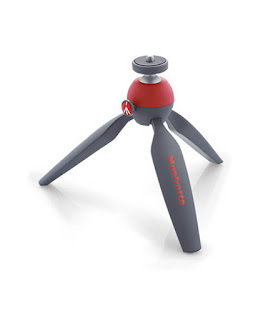 I am using a ballhead mini tripod by Manfrotto which can be purchased here. Its really good quality product and easily takes 1.5-2kg which is the weight of a regular DSLR. I personally dislike the flexible legs tripod and hence avoided it. You got loads of pictures on your phone and DSLR, you got tonnes of GBs of video on your action cam but you still got few more days left to ride and you are running out of storage space! Carrying a laptop is not a feasible option on rides. Don't worry there are devices just to take care of this issue. Kingston Mobile Lite (link) serves as a wireless link between your phone and your storage media like pen drive and portable HDDs. 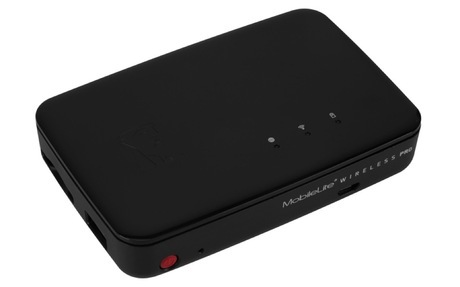 It is operated with the help of an app on your phone so now you can use the app to transfer data from your phone to a pen drive/HDD connected to this device to free up the storage space. It has got a card reader option too and has 64GB of storage space in itself. Thats not all it acts as a power bank too and can be used to charge your gadgets in case your power bank runs out of power. There are some more features so do read complete description of this very useful data backup device. I don't know why it has become so expensive on Amazon now because when I purchased it was just Rs. 2500 or so. Anyways do use the DX link which I have given. Tip: If you think you will run out of space on your phone on a ride, take a backup and empty the data on your phone before the ride. 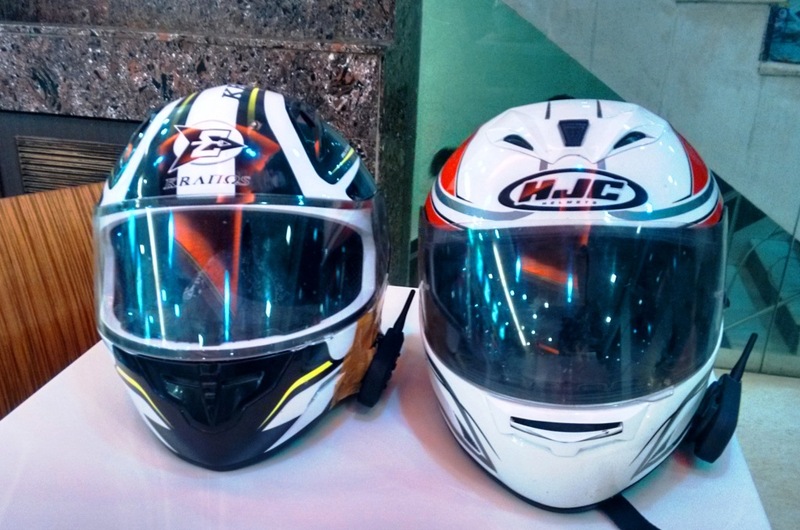 Riders can stay connected on the road and being able to talk to each other while riding improves the ride quality by a large extent. 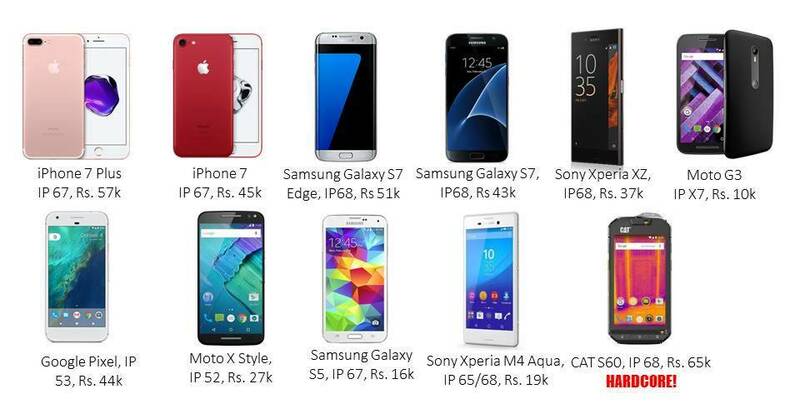 So there are devices like Senna available in the market but its on the expensive side right from Rs. 10,000 to Rs. 35,000. However if you don't want to spend so much you can opt for some Chinese options available and they will work exactly as good except for few glitches here and there. I'm using one since almost 2 years now and its going as good as new. Barring few mounting problems because the clip broke but I figured an alternate 3M sticker solution which works. I have written a detailed review and its benefits here so you can check it out. While buying such a device things to keep in mind are its range which should be more and protection from water. So you have your phone sorted out, clicked good pictures and videos on your action cam and even backed them up on a portable storage, and used the bluetooth headset all day long. Now its time to charge them all. Not going to talk here about the usual charging solutions which is AC and power banks which are obiously helpful. But think of a situation when you have only one charging point in room and you are sharing the room with your friend. You both have to charge your devices at the end of the day! So there are many multiple USB port based charging devices available in the market but its important to buy one with a good power rating. 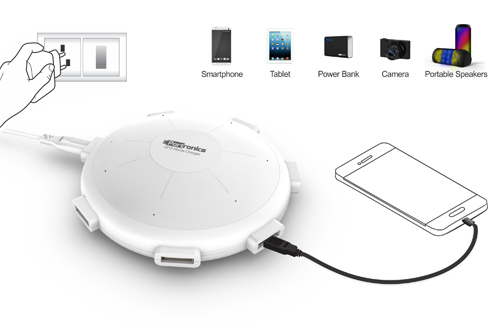 I'm using Portronics UFO charger and you can charge upto 6 devices together. The good thing is there is no damage to the devices and the charging speed is as good as the original AC adapter which comes with them. Here is the Amazon link for this. It is a small device in size and lightweight so its good enough to put in your saddle bag or bagpack. Have been using it for about an year now and I personally recommend this even for home purpose. If you are willing to spend a little more then you can get a more compact and better performing device which is Aukey. Another charging solution is portable bike mount chargers. Very useful to keep your phone supplied with juice on the go. So if your phone is mounted on the handle bar you can connect the charger or you can keep the phone in the pocket of your jacket. There are chargers like Bolt (link) and Resonate which are good brands. 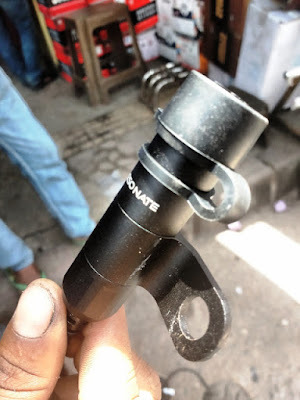 I am using Resonate charger myself and you can read its review and fitment details here. If you don't want to go through the hassles of fitting a bike mount charger, there are some other options for you, like a battery pack. As of now I could find the battery pack options only for iPhones, like this one. This is just one example and there are several other brands and varities available for a battery pack. Unless your phone is connected to bluetooth headset, keep your phone in flight mode when you are riding your bike. Get rid of apps you haven't used in last 1 month. I think I'm done here. However if you think I have missed out on something important do let me know in comments. And hope this post will help you in choosing your next gadget! Ride Safe and now ride smart too.